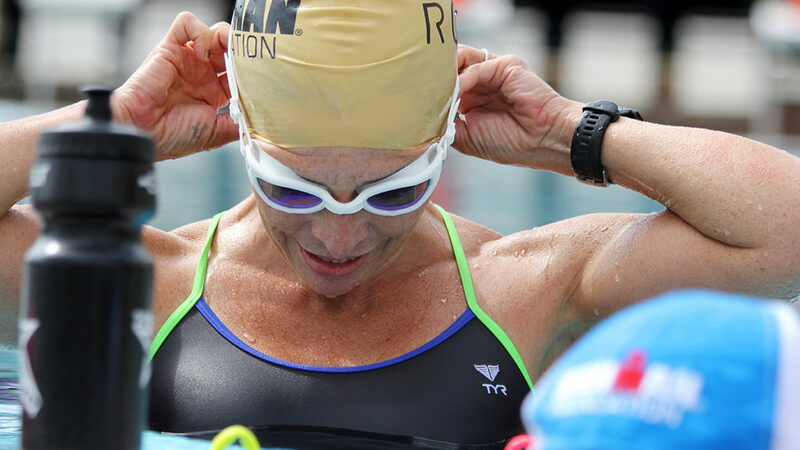 Triny Willerton is an age-group triathlete and mother of three who was working her way steadily toward IRONMAN world championships in Kona. 2018 was supposed to be her year; her coach was optimistic and she’d just set a new PR—she even had a gorgeous new custom-painted bike for the job. 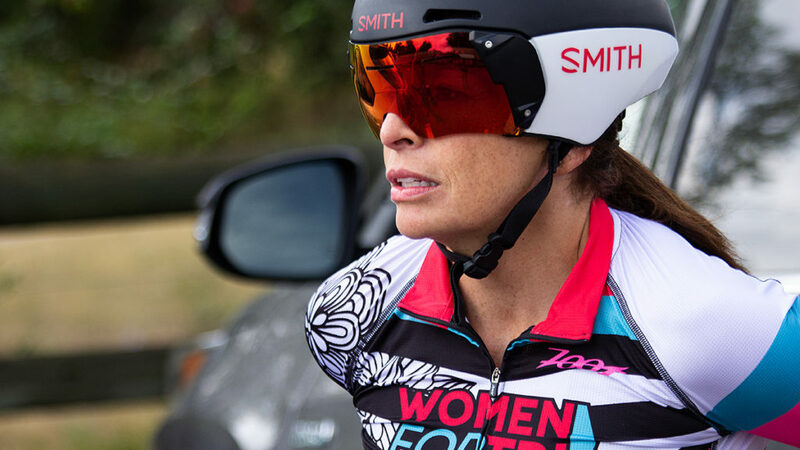 But then she was hit by a truck on a training ride, just a few weeks before her qualifying race. The doctors said her fitness is probably what saved her. 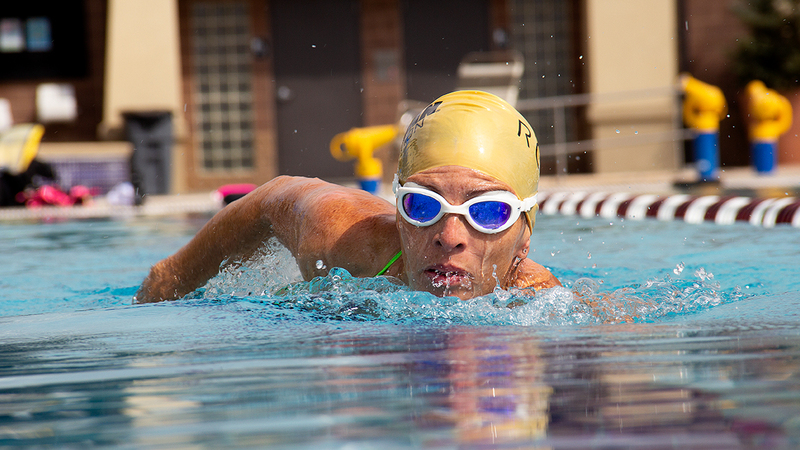 Her road to Kona had just begun. LT: Tell us about your first Triathlon. TW: It was an all-women Mother’s Day triathlon. And I remember thinking, this is just horrible, it’s gross, I am NEVER, EVER doing this again! And then I saw my results, and I podiumed, and I was like, “oh, this is not that bad! I wonder when the next one is?” Within a year I was doing my first IRONMAN. TW: Yeah, I volunteered at IRONMAN Arizona, where my friend was fundraising for a children’s charity. We volunteered at the change tent, and I remember looking around thinking oh, I can do this! If she can do it, I can do it! Why wouldn’t I be able to do it? So I raced IRONMAN Florida, and that was my PR race for years. I was just doing really difficult courses at elevation, it was kind of ridiculous. But last year, after training in Boulder for a year, I felt really, really strong. I told my coach, “I think I could actually qualify for Kona this year.” And she thought so, too. So I did Cozumel. I finished in 10:46, which is my PR, but I missed the [qualifying] spot by two places. LT: So that’s when you signed up for Boulder? TW: Yeah, so I come home, and I’m like gutted, because I’d gotten my PR but I hadn’t qualified. At the same time I’m thinking I could probably do something similar at the Boulder IRONMAN. I have the advantage of living here, and I know the course. So that was my mission basically, to qualify for Kona at Boulder. It was going to be on June 13th, I think. On May 8th I got hit by the truck. It was a Tuesday, and my kids had just left for school. I was almost done with my build for Boulder, and I had learned the course like the back of my hand. I just wanted to be on the course as much as possible. It’s funny, you know, I had to ride all these dangerous streets across town to get to the section of the course I wanted to ride. And when I got to Nelson, I was like “yay, I’m here!” Once you cross over to Saint Vrain it’s like a farm road. So I look over, signal, start merging, and get to the middle of the road. I signal again, I start turning, and the next thing I see is the pavement. I flew, I landed, and all I could do was just scream. I couldn’t put anything into words, I was just screaming. I never lost consciousness, I just remember closing my eyes, and the only thing I could think of was my kids. I am so stupid, what am I doing here, this is totally not worth it, why? I should have just been on my trainer. LT: What were your injuries, exactly? TW: It was six of my ribs (one punctured my lung), then my scapula, then my pelvis—I had three fractures in my pelvis. People always think oh your ribs must hurt so much, and I’m like “no, it’s my pelvis.” And then my teeth were chipped, they were horrible. But the worst one was my implant—I had an implant that burst. The impact was so great that it exploded and shifted, so that was my one and only surgery. And my husband hates me talking about it, (he’s English so he’s very private) but I’m like, “I had to have a surgery! What, is it like the mystery surgery I can’t talk about?” (laughs). LT: What were the days after the crash like? I was supposed to be in the hospital for two weeks, I ended up leaving after six days. LT: So how did you go from that point to knowing you’d be racing Kona? But she’s a great writer, and she wanted to help me with the application, so we had started putting it together. Then when I was in the hospital, we were getting close to the deadline, and Dana says I asked her to turn it in. I barely remember her asking about it, whatever it was (I mean, I literally could not move). But she added a little paragraph about the accident and submitted it. At that point I was still using a walker. I was literally not walking independently. LT: Tell us a little more about Women for Tri. TW: It’s a community that anybody can join (if you’re a woman or identify as a woman). It’s a really open space—you can ask anything you want about the sport. There are women there who are just starting; women who are already part of the community; and women who are pros, and have been through it all and will literally answer any question. They also give out grants through the IRONMAN foundation to promote more women getting involved in triathlon. It could be for equipment, or for travel, for organized activities with the tri club, things like that, that will make people feel more comfortable. It’s an expensive sport, you know, so I think the more support you can get the better. It’s just a really neat place. And (pauses) I get to represent them. LT: So how have you handled rehabbing from the crash and training for Kona all at once? TW: It’s taken me months with my PTSD therapist. Her name is Bette Long, her son is a pro triathlete, so she totally gets it. She’s been just elemental in my getting better. I also do PT twice a week with a therapist named Lindsey at CU, and she’s been amazing since day one. I do aqua sessions and land-based sessions with her. I also had to re-learn how to swim. I have been so lucky and have had the opportunity to work with Eney Jones. She has taken me from not being able to swim (everything would tug and just hurt) to swimming faster than I was before my accident. Then I have a coach, Michelle Leblanc, who I’ve been with since 2012, she’s been guiding me through just very easy workouts, up until recently. I think she’s a little frustrated because she’d like me to baby myself a bit more, but at the same time she knows how much more volume I need to be doing to prepare. Especially the running. She started me on the Alter-G machine for about a month, and then I graduated to doing a nine-minute walk, one minute jog. Then an eight-minute walk, two-minute jog, seven-minute walk, three-minute jog, etc. LT: That must be infuriating, especially when you’re used to running marathons! TW: Yeah it is frustrating, especially not knowing all this time (and I still don’t know) what’s gonna happen. My back still hurts a lot, and we don’t really know where that’s coming from. But I don’t focus on the bad, I’ve always tried to focus on the good things, and not being overwhelmed, because I can get overwhelmed really, really fast. So I just focus on the things I can do, and doing them as well as I can. I also just seriously have such a great support system. Even through the darkest days; the bad of the bad of the bad, there’s always been a friend, and I know it sounds kind of corny but it’s true, they just don’t let me drown. LT: Do you have any mental tricks that have helped get you through your recovery? One huge thing I learned from Dana Platin and Rachel Joyce was just making a goal and saying it out loud, and doing everything to work towards that. You know, your big goal… your secret goal. I was also very lucky before the accident—I got to work with Simon Marshall and Leslie Patterson and they basically have the same focus, which is to silence all the negativity in your brain. That has helped me see that within everything that’s been horrible, there’s been a lot of good. (laughs) It wasn’t like I set out to work with only women, it just happened! That’s part of why I love the idea of Women For Tri so much, because I think once women get together and start empowering each other and working together, we realize how much strength we can get from that. Even before triathlon, when I was just focused on losing weight, there were weeks when I maybe would have thrown in the towel, but I had my [women’s training] group to be accountable for. I had to turn up! That was a huge source of strength. LT: Which is amazing because you were just supposed to be trying to go trick-or-treating. TW: I mean the doctors, everybody has just been amazed. I’ve just been very lucky, which is kind of ironic to say after you’ve been hit by a truck, but I have. LT: I’d say it counts. Do you think recovering from this was harder than training for an IRONMAN? TW: Yeah, a lot harder. LT: So by the time you line up at Kona it should be no big deal, right? TW: Really my Kona dream could not be better. The only thing is that I hope my running comes together. I am prepared to be out there for many, many hours. But I got this spot for Kona, and even if I’m the last one to finish, I’m gonna finish. He [the driver] is not gonna take that from me. Lydia Tanner is the athlete content editor at Training Peaks. 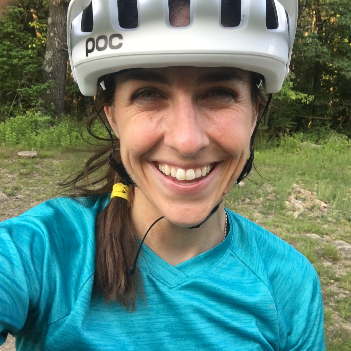 She was formerly an editor at Bicycling Magazine and contributor at Bike Magazine, RedBull, and 303Cycling. She is a two-time collegiate national champion in XC MTB, and raced the World Championships as a U23. She is perpetually curious about physiology and human performance.